Now, according to Jaimie Niemczura, Real Estate Manager at American Diversified Developments which owns The Newport Plaza, they have tentatively planned an opening date of January 6, 2016. Fresh Thyme will hire up to 100 positions at the Newport location at 82 Carothers Road. They will be hosting a job fait at Courtyard Suites in Covington on November 13 from 3-8 p.m. and on November 14 from 9 a.m. - 4 p.m. They are looking to every position from management to cashiers. Benefit packages for full-time employees include medical, dental, vision and paid vacation. 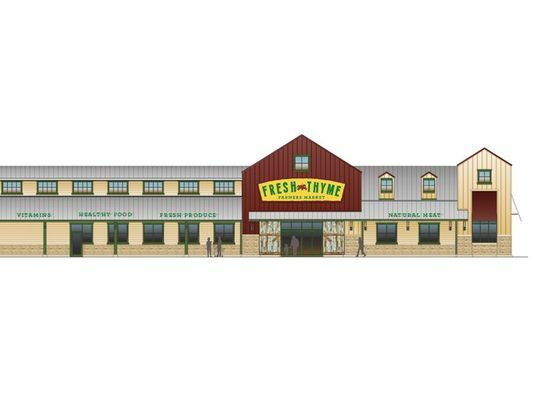 Fresh Thyme is a Meijer-backed company that sprouted up in the midwest fairly recently. They opened their first two area stores over the last six months. August 27 in Oakley and November 12 in Montgomery. Our stores don’t follow traditional grocery store design, nor do they have tall aisles or glitzy fixtures. In fact, our stores are so simple and easy to navigate that we don’t number our aisles or hand out store maps. We believe shopping for fresh and healthy food should be easy and enjoyable. • Plus a whole department filled with vitamins, supplements and pure body care products. We’ve combined the spirit of a weekend farmers market, and the convenience of a neighborhood store, with the nutritious offerings of a natural food marketplace to create a NEW and healthy shopping experience in the Midwest, which will nourish your body while your pocket book prospers. As you shop our stores you’ll find yourself on an adventure that will take you back to the good ol’ days when food was pure, simple, nutritious and delicious.